As part of my design research for a personal game project, I recently played through Link to the Past and came up with analyses of The Enemies and The Combat. Today I'm going to continue my research with a different Nintendo series. Kirby! Now, with Link to the Past, I was looking for how combat worked very specifically, so I harvested very specific information. 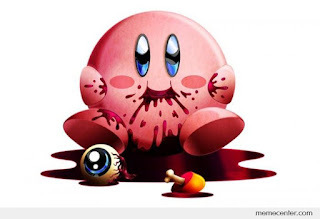 With Kirby, what I'm looking for is game feel and general mechanics behind the powers Kirby inhales. This will be a more holistic look at those powers, and won't involve any counting of seconds or damage or any other specific numerical values. Let's get going! I played through Kirby's Adventure, Kirby's Super Star, Kirby and the Amazing Mirror, Kirby Triple Deluxe, and a bit of Kirby: Nightmare in Dreamland for this article. I also briefly touched on Dream Land 1 and 2, as well as a few other titles in the series just for comparison. I noticed one particular theme throughout the Kirby games. Every power, every ability, every level, every enemy. They're all designed to prove one thing: Kirby is an unstoppable force. Every ability that Kirby gets affects Kirby's momentum. Everything is about punching through enemies and progressing forward. Even the abilities that stop you in your tracks are still designed to move you forward. Hi Jump gives you great upward momentum, Rock gives you great downward, and nearly everything else moves you Horizontally. 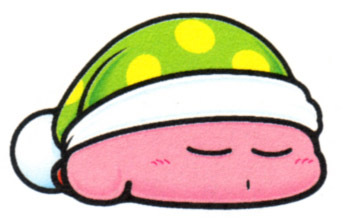 Each ability in the game affects the way kirby moves in some way, and your preferred method of movement very likely defines your favorite power. Do you like feeling unstoppable? Maybe you like Wheel. Do you like to maintain control? Maybe you like Umbrella. Even the purely offensive powers tend to allow Kirby to move forward at great speed, or to clear the way without slowing you down too much. In fact, one of the common things we see in the series is that abilities get combined, and they do so in order to augment Kirby's forward momentum. Fireball and Fire are two very common combinations, allowing Fire Kirby to breathe fire while on the ground, to clear a path, or to jump into the air and rocket forward as a fireball. Or Spark and Plasma, allowing Spark Kirby to fire a blast forward, clearing out distant opponents, instead of only generating a static field (double meaning intended). We also see this use of unstoppable momentum in the way Kirby interacts without powers. Simply moving into an enemy will destroy that enemy. Falling will break blocks, and even flight gives you a puff of air that can destroy things in front of you, so you don't have to stop moving to deal with obstacles. Even the punishments in Kirby are based on slowing or stopping you. Blocks are the primary environment objects, blocking your path until you destroy them. Spikes and lava make you navigate carefully, slowing you down. Or the most notable of all comes in the form of the series' only punishment powerup: Sleep. Sleep completely robs you of your momentum, effectively putting you in the corner to think about what you've done. Sleep isn't a difficult power to avoid, but for the careless, it is a severe annoyance due to its complete removal of the movement that the entire series is based around. What's interesting, to me, is the series' use of super powers. Things like Crash, Mike, Cook, etc. are all clearly the most powerful powerups in the core series. They wipe the screen of all enemies, utterly destroying everything in your path, but they add nothing to the player's momentum. They clear the path, and allow you to move unrestricted for a time, but they never quite capture that feeling of movement. 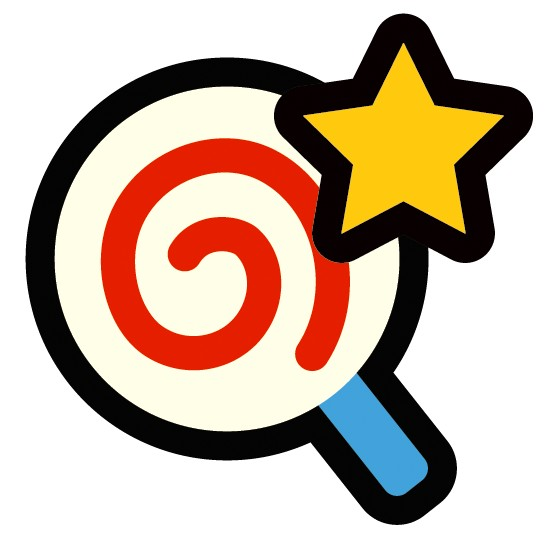 Perhaps that's why they take a back seat to the series' true super powerup, the Invincibility Candy. The Invincibility Candy gives Kirby the thing that Kirby players want most: the power of being unstoppable. You run forward, destroying everything you touch without so much as slowing down. Combine that with your powers, and you just blast through swaths of enemies without a second thought. These mechanics wouldn't work as well in a Zelda game, for instance, because Link's movements are about fighting his opponents. Link wants to combat his opponents. Kirby doesn't have to combat anything, Kirby is an unstoppable monster of chaos and death!